Ten times. Ten times in the last month I panicked because I ran out of diapers. That’s more than twice a week that I didn’t have a clean diaper to put on my baby. That’s ten times that my baby had to sit in a dirty diaper longer than usual because I knew if I changed them as soon as the diaper was wet or soiled, then I’d run out way before the month was over. And I don’t get paid for another week. But at least it wasn’t as bad as last month when I ran out halfway through the month because the baby got sick and needed more diapers than usual. I had to borrow from my neighbor then, but her baby is a lot smaller than mine, so the diapers didn’t fit very well. She told me not worry about paying her back, but I feel guilty because now she is without the diapers she needs. There is not a grocery store close enough to walk to, and since my car broke down three months ago, I have to rely on someone else to take me to the store. And the diapers there are so expensive anyway. It’s cheaper to buy a bigger box, but we need food too, so I can’t even do that. Plus, I’m trying to save a little bit extra each paycheck so I can get my car fixed. I hope next month is better. Everyone keeps telling me that as my baby gets older, they won’t need their diaper changed as often. I hope that’s true. Three kids. Three kids under the age of three. That’s three kids in diapers at the same time. For a long time. I don’t know how we’re going to do it. That wasn’t our plan. We didn’t expect our first pregnancy would result in twins, and then that we’d be expecting again so soon. My husband had a good job. I did too. Daycare is so expensive that we decided I should quit my job and stay home. It was working out well. Sure, we couldn’t go on any big vacations or buy expensive clothes, but with two year old twins, where would we go? Three months ago, my husband got laid off from his job. The next week, I found out I was pregnant. I’m starting to panic because he can’t find a job and our savings is slowly being depleted. We have everything we’ll need for the new baby. Except diapers. And we can barely afford to put diapers on the twins. I’m starting to panic because I’m afraid I’m going to have to choose between buying diapers for my baby or buying diapers for the twins. One time. One time I panicked because we were out of diapers. One time over the course of three children. Let’s say all three of my children were done with diapers on their 3rd birthday, that’s 108 total months of somebody in diapers. And only one time I ran out. But when I ran out, I sent my husband to the store to buy more. It seems silly that I panicked, but there were always diapers in the house. And if not in the house, there was always a handful in the diaper bag. And if the diaper bag was empty, there was for sure an extra one or two in the car. And I always knew this well in advance of running out, so when the stack got low at home, I knew a trip to Target or the grocery store was in order because I didn’t want to be without diapers. Because all parents know that as soon as you get low and say, “oh, we can make it one more day,” a stomach bug hits and all of a sudden you need 10 diapers within 2 hours. So we always made sure we had diapers. And that time I panicked because I couldn’t find that one more diaper? I don’t even remember which baby that was with because I knew at the end of the day, we’d have diapers again. While we all wish the last scenario was true for everyone, we know that’s not the reality. The last scenario is our own. Diaper need has never been a concern for us. We have always been able to put clean, fresh diapers on our children. But what we have learned along the way is that diaper need is very real and we want to be a part of the solution. The first two scenarios are very real to a lot of people. Diaper need is all around us. One in five Kansas City area children live in poverty. An estimated 23,000+ children in Kansas City are not receiving the diapers they need to stay clean and healthy. The reasons are endless and diaper need exists everywhere. Children who sit in dirty diapers get cranky. They cry because it’s uncomfortable and hurts. It can lead to infections and illnesses. It can lead to abuse when the baby won’t stop crying. It is not something that most people think of, especially if you have never experienced diaper need yourself. Many people wonder why those with a diaper need do not use cloth diapers. Cloth diapers need to be rinsed out and washed several times a day or week, depending on how many you have. Most people with a diaper need do not have access to laundry facilities on a daily basis. The majority of laundromats do not allow cloth diapers to be washed for sanitary purposes. Another question often raised is what about public assistance programs like WIC, food stamps or SNAP? Diapers are not covered under any of these programs, even though the families enrolled in these programs are the ones who often need diapers the most. The Kyleigh’s Gift Diaper Drive distributes the collected diapers to three agencies: HappyBottoms, Lee’s Summit Social Services and North Star Baby Grace. All three of these agencies are doing amazing things within their own communities and the Kansas City area to help wipe out diaper need. HappyBottoms is Kansas City’s Diaper Bank. They work strictly with diapers, nothing else. HappyBottoms partners with 37 local social service agencies to ensure that diapers make it onto the bottoms of those in greatest need. Qualifying babies receive either 50 diapers per month or 30 training pants per month. Families are educated on proper diapering tips, stress reducing strategies and information on potty training. HappyBottoms works to fill the diaper gap, being one piece of the puzzle when giving families a hand-up. Kyleigh’s Gift has worked with HappyBottoms every year of the Diaper Drive and has given the majority of diapers collected to HappyBottoms. Lee’s Summit Social Services is a non-profit agency that benefits low income families and individuals with basic needs, such as clothing, food, school supplies, utility/rent payments, etc. Without the many volunteers from the community, LSSS would not be what it is today. Individuals and groups sort food at the food pantry, sort and tag items at the Thrift Store and help with seasonal projects, such as the Back-To-School and Christmas Store. LSSS assists those with long term needs, as well as emergency needs. Kyleigh’s Gift donated diapers to LSSS for the first time in 2018. 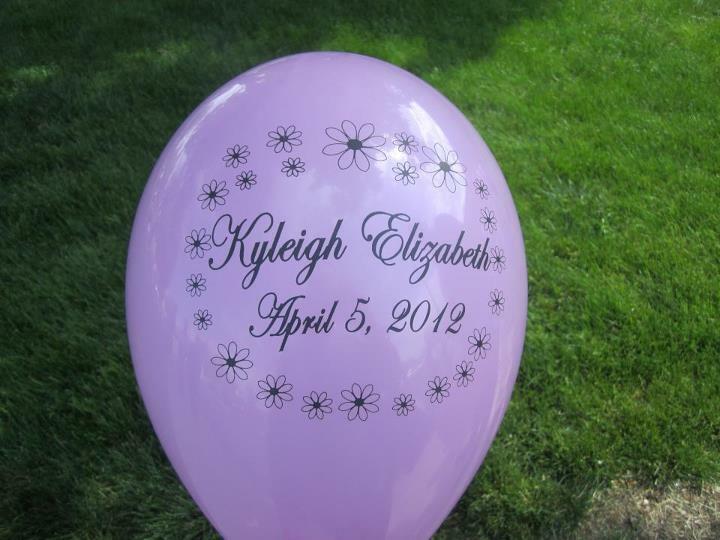 We chose this organization because it is in the community where we live and we wanted to bring a little bit of Kyleigh’s Gift closer to home. North Star Baby Grace is one of several Baby Grace locations around the Kansas City area. North Star Baby Grace is a ministry within the North Star United Methodist Church in Kansas City, Missouri, located in the Northland. Baby Grace’s mission is to share God’s love and grace by offering material, emotional and spiritual support and development for families with young children. They hold quarterly open houses where gently used clothing, toys, baby gear, etc. are available. A small package of diapers is also given, when available. All families are welcome, as Baby Grace’s intent is to serve families who would realize a financial hardship if they were to purchase these items at full price. Kyleigh’s Gift began donating diapers to North Star Baby Grace in 2018. We chose Baby Grace because of the wonderful work they do for families all over the Kansas City area. We focused on North Star Baby Grace because many of the families they serve are from the Liberty, Missouri area. The Kyleigh’s Gift Diaper Drive continues through April 5, 2019. For more information on how you can donate, click here. Thank you for being a part of the diaper need solution.